Here’s what you need to know about these: they’re DELICIOUS. 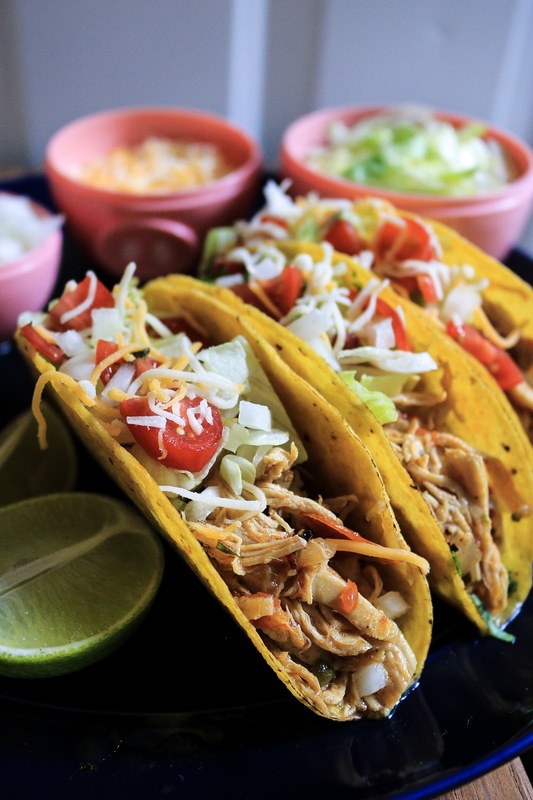 I was browsing around Pinterest (aka my new best friend) and I saw a ton of recipes for Instant Pot chicken tacos and my mouth immediately filled with saliva. In less gross terms, you could say I was intrigued. My biggest gripe with cooking and the internet is that there are SO many variations of the same recipe. How do you know which one to trust? So I decided to trust myself and just take bits of information from the ones that sounded good and completely wing it. The result was AWESOME. There are two great things about this recipe, in my mind. First off, it’s a dump meal (which sounds terrible) but it means you can just dump everything in the pot and walk away. The second best part, is you can easily add some cream cheese or a touch of cream and make it into a creamy taco soup. But I decided to lean on the side of health here and keep it light. But who am I to tell you how to live your life? I’m just here to tell you how to make amazing tacos. Place the chicken breasts in the Instant pot. Add right on top: onion, garlic, olive oil, chopped green chilies, salt, taco seasoning, and the chipotles in adobo. DO NOT MIX. Pour the chicken stock over everything and again, DO NOT MIX. Cover the pot and make sure the float valve is set to “sealed” and turn the pressure cooker button on. Set cook time to 10 minutes on high pressure. When time is done, let sit in natural release mode for 15 minutes, then switch the float valve to “vent” to release the remaining pressure. 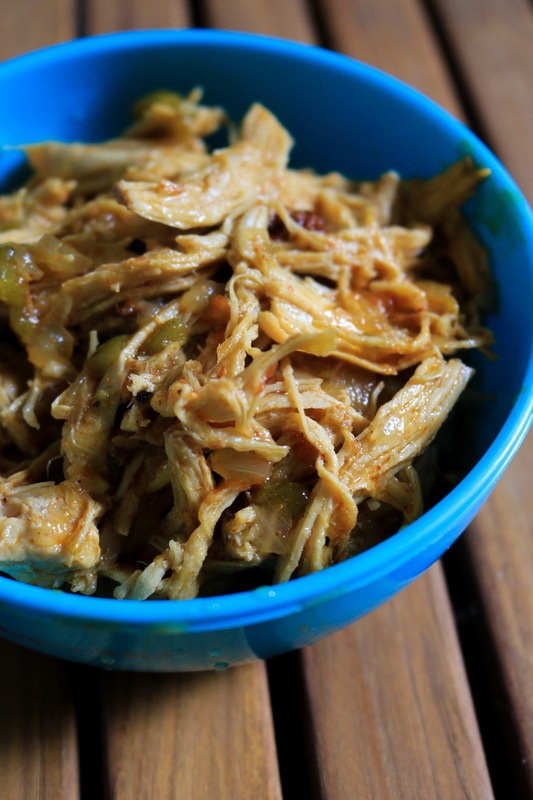 Remove the chicken breasts carefully and shred with two forks or meat claws (great investment), then put meat back in the pot to absorb some of that wonderful chicken-taco broth. 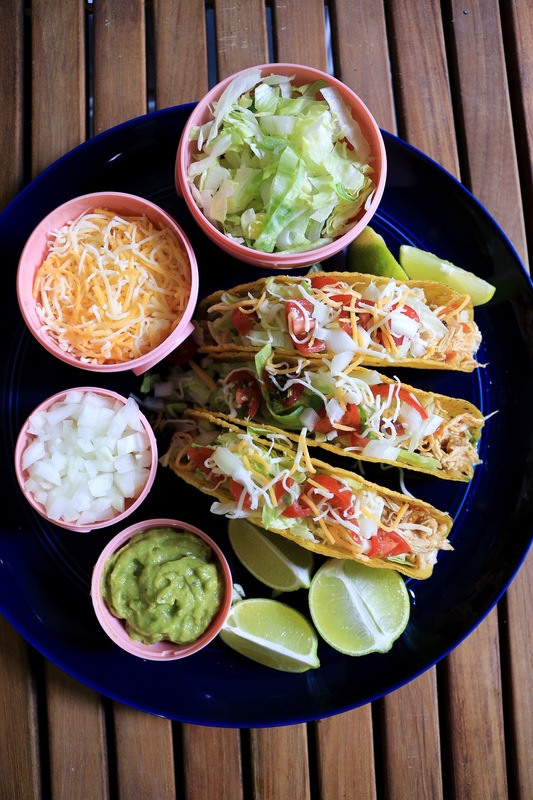 Serve the chicken in taco shells with your favorite fixins and a generous drench of lime. Bonus: tastes even better the next day! Don’t throw away that broth – store in a tight sealed container with any leftover meat and thank me later.